Less than a year after allegations of sexism and discrimination were raised by female players and a massive corruption scandal shook up soccer's international governing body, the International Federation of Association Football (FIFA) seems determined to reform to the organization. 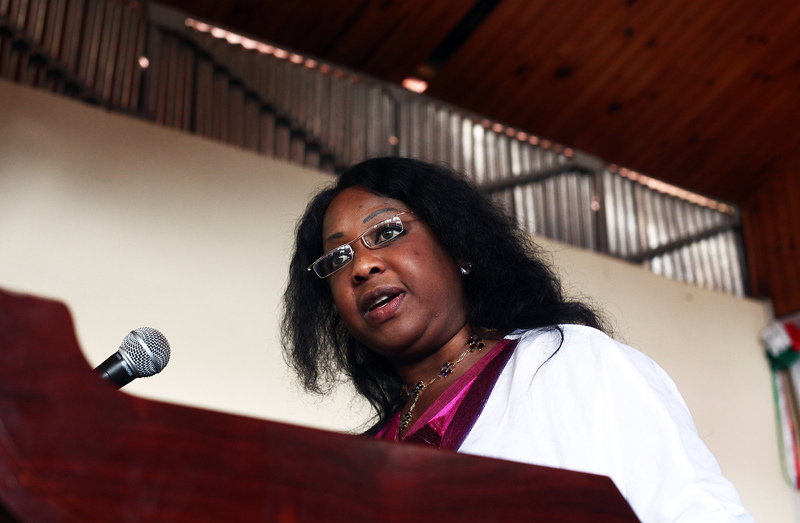 The male-dominated world football organization took a much-needed step toward gender equality Friday when Fatma Samoura was appointed FIFA's first female secretary general. A veteran Senegalese United Nations official and relative outsider to the sporting world, Samoura's appointment came as an unexpected surprise at FIFA's 66th ordinary congress in Mexico City. FIFA President Gianni Infantino dismissed concerns regarding Samoura's lack of experience in sports management, including limited practice brokering commercial deals and negotiating with broadcasters — both key duties of the secretary general, saying she'd bring a much-needed fresh eyes to the organization. "It is essential for FIFA to incorporate fresh perspectives – from outside the traditional pool of football executives – as we continue to restore and rebuild our organization," Infantino said in a statement. The world football organization has been heavily focused on pushing through reform efforts following an investigation into various charges of misconduct among top executives. "No one exemplifies what we need more than Fatma does, and we are thrilled that she has joined our team," Infantino added. Although Samoura will likely find stepping into one of FIFA's most senior management position after a 21-year career in the U.N. to be an interesting transition, she seemed to welcome the challenge of finding ways to apply her skills in management and team building to the soccer world. "Today is a wonderful day for me," she said in a statement released by FIFA. "I believe this role is a perfect fit for my skills and experience... I also look forward to bringing my experience in governance and compliance to bear on the important reform work that is already underway at FIFA. FIFA is taking a fresh approach to its work – and I am eager to play a role in making that approach as effective and lasting as possible." Samoura is no stranger to navigating multicultural environments. She has worked for the U.N. since 1995 and served as a representative or director in six countries. Infantino said he believed Samoura's integrity and leadership skills would help the organization re-establish some of the trust and credibility it lost in the wake of widespread corruption and bribery allegations that came to a head early this year. "Fatma is a woman with international experience and vision who has worked on some of the most challenging issues of our time," he said. "She has a proven ability to build and lead teams and improve the way organizations perform. Importantly for FIFA, she also understands that transparency and accountability are at the heart of any well-run and responsible organization." As part of reform efforts approved earlier this year following a massive corruption scandal among FIFA's top leaders, Samoura will be required to pass a series of eligibility tests before taking over the post from interim Secretary General Markus Kattner in mid-June. She will replace Jerome Valcke who was banned from the sport for 12 years over charges of corruption and misconduct. Along with being the first woman to hold the position, Samoura is also the first non-European to be appointed FIFA's secretary general. But she may find herself the odd woman out, at least for a little while. Women are rare among FIFA's ranks despite mounting criticism the organization lacks gender equality. The organization appointed the first female member of its ruling executive committee only three years ago. FIFA is, however, attempting to address its lack of female leadership. An initiative aimed at "developing strong female leaders in football" was launched in 2015.